T'kilas tacos & more has closed and will be reopening early next year with a new name and a new menu. 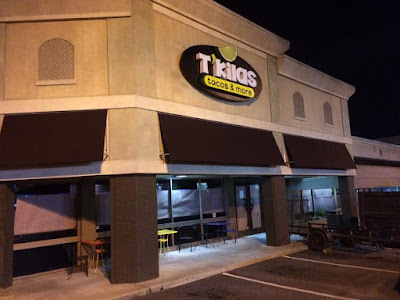 The restaurant, located at the corner of North Decatur and Clairmont Roads in the Emory Walk shopping center, changed its name from Los Loros to T'kilas in late 2014. The restaurant was reportedly sold to the owners of Mezcalito's a few months ago, but they continued to operate it as T'kilas until December 11th. 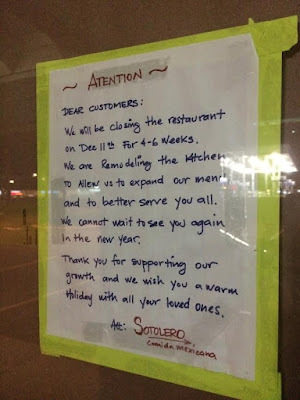 A sign posted on the restaurant's door indicates the new name will be "Sotolero [Grill], comida mexicana" and that it will reopen in "4-6 weeks." Although the association is not made on the signage, a brief internet search shows Neil Mejia is owner/partner of both Mezcalito's Cocina and Tequila Bar as well as Solotero Grill. Interestingly, a Yelp review from November 23rd indicates that the restaurant was already using the Sotolero name at that point. The same reviewer (who has left only one review on the platform) also states: "They are charging liquor tax, not honoring signage for lunch, and confrontational. Service is slooooooooooow." Mezcalito's has locations in Oakhurst (opened in 2006) and Grant Park (2013) and is described by Mejia as "one of the few good, traditional, regional Mexican places in Atlanta. Crisp ingredients, fresh homemade drinks and a well-established tequila bar." Are you excited to hear the owners of Mezcalito's are involved in Sotolero? Did you prefer Los Loros or T'kilas?  In your opinion, who in Atlanta offers the best casual Mexican fare? I would have put serious money on T'kilas failing. I will try Sotolero. The food at T'Kilas wasn't that bad. Actually, the Mole was pretty good. Unfortunately the place always smelled of Fabuloso cleaning solution when we went in there - not exactly the most appetizing smell - which kept us from coming back more often. I used to work at Los Loros a long time ago, and it taught me a lot about cheap Mexican restaurants. Their food was good, and the drinks were strong and cheap... Like most Mexican restaurants. Work at one and you quickly learn that almost all their employees are illegal, the employees all steal booze and the only people that don't make minimum wage are the chef and the manager (not counting tips. Management actually got mad when I got tips and didn't focus only on making drinks for waiters, and the bar had almost nothing but tequila and Margaritas despite a display full of other booze. Their attempt to evolve into a posh fusion spot with "T'kilas" was ridiculous, and the owner was a total moron who only showed up occasionally to rant at all the employees about things that made no sense. I have been to Mezcalitos and it's a solid operation. I can safely say the new place will have nothing in common with Los Loros or T'kilas. Looks like you didn't know T'kilas and nothing about their accounting!! I worked there for several years and I know for a fact the employees were paid well. 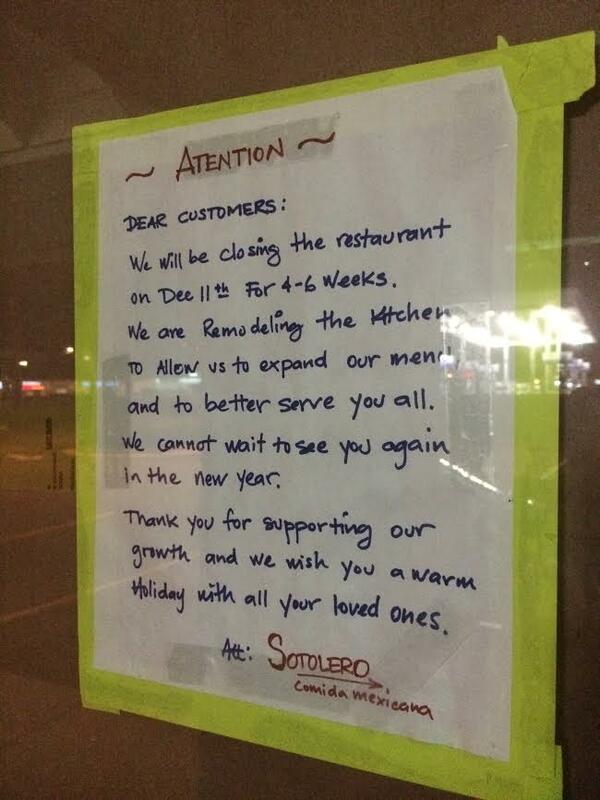 Just wait and see how much more you have to pay for a drink and the food at Sotolero..... GOOD LUCK!!! The best Mexican was Mexico City Gourmet before it was sold. 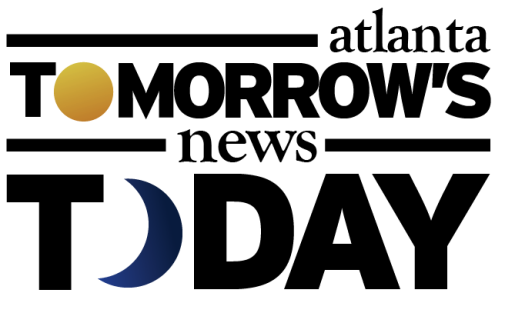 The food was great and the service was very solid. Wish the original owners would come back to Decatur.